We are a state of the art indoor rock climbing, fitness, and yoga facility. 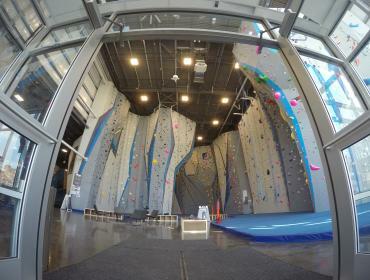 We offer the following amenities: •	21,000 SF Facility •	20,000 SF of Climbing •	Yoga and Group Fitness Classes •	Bouldering •	Weight Room and Exercise Equipment •	Work/Lounge Space & Free WiFi •	Locker Rooms with Showers •	Climbing Gear Shop •	Beginner and Advanced Climbing Instruction •	Personal Training •	Kids area •	Youth Program •	And can host birthday parties! Conveniently located in the edge of downtown Rochester and free parking available for all.